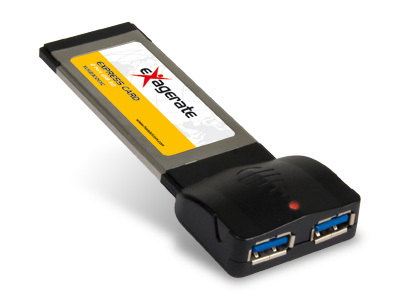 The new Exagerate USB 3.0 ExpressCard upgrades your notebook to USB 3.0, the new generation of USB interface that offers transfer speeds of up to 5Gbps. The new SuperSpeed USB 3.0 interface allows you to quickly back-up important data, digital photos, music and movies. The USB 3.0 ExpressCard is also backward compatible with all USB 2.0 devices.